Measures promoting quality spending of committed funds and removing related obstacles to effective spending. Effective budget execution (also termed delivery) is a percentage of annual public budget allocations that are actually spent by government agencies and can vary from as low as 40 percent to as high as 90 percent. Related obstacles are often due to delays in financial flows or capacity constraints. Incentives (e.g. staff incentives) and support (i.e. additional capacity) can be provided to increase the delivery. While not specific to biodiversity, these measures can and should be considered by conservation organizations. Local revenues, budgeting and spending impact biodiversity through managing land use, natural resource exploitation, local protected areas, and financing biodiviversity supportive programmes and projects. Guidelines for increasing effectiveness and biodiversity impact of local budgets can enhance impact and direct funds to biodiversity. External barriers for timely budget execution are often related to relationships among the treasury and the spending agencies. They may refer to the timing and amount of transfers as well to the clarification and strengthening of management responsibilities. While not specific to biodiversity, these measures can and should be considered by conservation organizations. Internal barriers for timely and effective budget execution are often related to financial planning capacity gaps, weak accounting systems, systemic corruption practices, and the absense or poor design or individual performance and incentive systems. These barriers can be addressed through organizational capacity development (people and systems). While not specific to biodiversity, these measures can and should be considered by conservation organizations. An informal or formal commitment by a community, private landowner, NGO or corporate landowner to sustainable manage and/or formally protect a specified land or marine area. Incentives are sometimes provided to encourage or support landowner participation. Government or civil society extension services decrease the costs of improved management of marine and land resources for private individuals and groups. Extension services - especially in rural remote areas - have been decreased substantially in many countries and replaced with sales and marketing services for products harmful to the environment such as engineered seeds, fertilizers and pesticides - ultimately generating higher costs to government for environmental and health issues. Government supports conservation and restoration actions on private lands that decrease the costs of land management for private and communal land owners. This creates an incentive for land owners to pursue conservation actions through cost reduction and public private partnerships with government. An example is the Natural Resources programme in South Africa where support is provided for the removal of invasive alien species and land restoration. Tax credits can be offered to land owners in exchange for conservation and restoration activities on private land that contributes to established conservation objectives. Systems can be established at a national or local level. Tax credits may be transferable to other entities and thus hold a higher value for land owners lacking large tax liabilities. Funding instrument that distributes grants (or concessional finance) to profit-seeking projects on a competitive basis. It subsidizes private investment in developing countries where there is an expectation of commercial viability accompanied by measurable social and/or environmental outcomes. Challenge funds can mitigate market risks, while spurring innovation to fight poverty and reduce environmental degradation. Insurance schemes that cover against environmental liabilities (i.e. the financial risk associated with environmental pollution and contamination) in exchange for a premium. In addition to preventing future expenditures and thus reducing business risks, they can provide contingent resources for immediate remedial action in the event of an environmental disaster. Environmental (and Social) Impact Assessments (EIA) are conducted to evaluate the environmental and social risks of a development project including mining, hotels, and other large infrastructure projects. A range expenditures and investment to preserve nature are associated with the EIA process including permitting fees, expenditures for the assessment itself, expenditures for implementation of the environmental and social management plans, performance bonds, insurance products, biodiversity offsets etc. Additionnally, penalties may be directly triggered by non-compliance to the EIA and its associated management plans. Fees charged to developers for complementing the Environmental (and Social) Impact Assessments (EIA) review process by public authorities. Fees are often set at cost recovery rates. The resources are used to staff environmental agencies responsible to review EIA. A performance (or contract bond) is a surety bond issued by an insurance or financial company to guarantee satisfactory completion of a project by a contractor. Performance bonds and other financial guarantees can be linked to EIA provisions. These are provided by the project developer -usually for long term mining projects- to assure stakeholders that financial resources can be deployed even if the developer cannot comply with EIA provisions. It is a promise from a surety that monetary compensation will be provided to the owner if the project developer fails to act. The resources from the surety can be quickly deployed to save or recover critical environmental assets and can be accessed even in case of bankruptcy. Merging two or more organizations can produce economies of scale and allow public and private organizations to substantially reduce operational and financial costs. For example, operational costs can be reduced by merging environmental trust funds and protected areas authorities with similar mandates. While not specific to biodiversity, these measures can and should be considered by conservation organizations. The resources saved can be reinvested in conservation. Guarantees can mobilize and leverage commercial financing by mitigating and/or protecting risks (such as political, regulatory, and foreign-exchange risk), notably commercial default or political risks. Guarantee programs are often designed to help entrepreneurs obtain bank financing by dealing with collateral constraints. The guarantee functions as a promise by the guarantor to the lender that, in the event that the borrower defaults on payment, the guarantor will repay the lender a specified proportion of the foregone principal. This allows traditional lenders to take risks and learn new markets outside current risk profiles. The scheme can be attached to biodiversity related businesses which are often operating in non-mature markets and lack financial records. Guarantees can mobilize and leverage commercial financing by mitigating and/or protecting risks (such as political, regulatory, and foreign-exchange risk), notably commercial default or political risks. A public guarantee can encourage financial institutions, i.e. commercial and development banks, to offer loans to new companies. Public guarantee programs are often part of bilateral or multilateral development assistance and seek to address market failures without unintentional distortion of existing banking systems and financial markets. The scheme can be attached to biodiversity related businesses. Guarantees can mobilize and leverage commercial financing by mitigating and/or protecting risks (such as political, regulatory, and foreign-exchange risk), notably commercial default or political risks. The guarantee functions as a promise by the guarantor to the lender that, in the event that the borrower defaults on payment, the guarantor will repay the lender a specified proportion of the foregone principal. This allows traditional lenders to take risks and learn new markets outside current risk profiles. The scheme can be attached to biodiversity related businesses, which are often operating in non-mature markets and lack financial records. Private companies and Non-government organizations can extend these guarantees. State or donor-sponsored financial entity that works in partnership with the private sector to increase investments into green businesses and markets that are underserved by commercial finance. The backing from a Government (or donor) guarantee the Bank can catalyze private investments and introduce new financial products. While the emphasis has traditionally been on renewable energy, the focus of green banks can extend to other environmental areas including conservation and biodiversity. Green bonds can mobilize resources from domestic and international capital markets for climate change adaptation, renewables and other environment-friendly projects. They are no different from conventional bonds, their only unique characteristic being the specified use of proceeds which are invested in projects that generate environmental benefits. In its simplest form, a bond issuer (public or private) will raise a fixed amount of capital, repaying the capital and accrued interests over a set period of time. Sovereign bonds and forest bonds are being issued to finance biodiversity related activities. Green bonds financing projects related to sustainable forest management or forest conservations, e.g. investments in sustainable timber production companies. Innovative schemes offer repayment in climate credit offsets. Green bonds linked to self-sustained cash-flow generating initiatives from ecosystem related services. Fixed income product that channels capital to conservation-critical lands and waters. The interest rate can be lower than market rates (i.e. concessional). Examples include property being resold to a government agency, institution, or conservation buyer, with easements or restrictions in place to ensure that the organization's long-term conservation objectives for the project are met. Green bond financing projects related to climate adaptation and mitigation, e.g. renewable energy projects. Green bond financing projects related to the blue economy, i.e. sustainable fishery and conservation of maritime resources. Lending facility by a development or commercial bank or a microfinance institution that positively screens or actively encourages environmentally beneficial loans. The facility or fund may have specific requirements for loan approval or allocation in the form of environmental criteria and assessments. Criteria can include an identified sub-sector (e.g. climate change adaptation) or reference to certain best practices (e.g. via certification of sustainable agricultural/forest management practices). Community finance-often considered part of microfinance-is of particular relevance for the communities living in or in the proximity of protected areas, including indigenous communities. Financial providers have a stated mission to deliver financial solutions for people in a defined community. Lending practices include community revolving funds and credit unions. The community itself is often the main shareholder of those institutions and can be the sole source of capital such as in village savings and loans. Microfinance programmes that integrate green or environmental principles, criteria and/or assessments into lending policies. Criteria can include sustainable agricultural practices (e.g. organic agriculture) and measurement of environmental benefits associated with the economic activities. A government, company or other entity establishes and enforces procurement rules that favor or require socially and environmentally responsible products such as efficient lighting, certified paper products, certified palm oil, etc. Large companies and governments can have a significant impact on the market through green procurement. Better management of human resources can improve an organization's effectiveness and efficiency and is critical to achieving cost-effectiveness. A vast literature is available on strategies to improve the management of human and social capital, including through, for example, monetary and non-monetary performance incentives and training. One example is reviewing and enhancing the human resources strategy for a protected area system. While not specific to biodiversity, these measures can and should be considered by conservation organizations. The resources saved can be reinvested in conservation. Investments made into companies, organizations, and funds with the intention to generate measurable social and environmental impact alongside a financial return. Impact investors invest in innovative but commercially viable business in sectors like sustainable agriculture, affordable housing, affordable and accessible healthcare, clean technology, and financial services for the poor. Along with health and inclusive finance, the protection of the environment is a core area of impact investment. Direct or indirect public transfer or other incentive to business for the adoption of sustainable business practices that help to improve biodiversity management. Explicit subsidies, financed either on-budget or off-budget (e.g. through a State Owned Enterprises), comprise monetary transfer -including income support (producer); market price support (consumer and producer); export subsidies (producer); public procurement above the market price; foregone taxation including reduced taxation, tax breaks, tax rebates, accelerated depreciation of assets; in-kind provision of inputs and services, including extension services; in-kind provision of infrastructure; provision of capital at concessional rates. Direct or indirect public transfer or other incentive to businesses for advancing conservation outcomes, e.g. investing in technology upgrades that consume less natural capital such as land or water. Increasing ODA flows through better programming and delivery, training on grant preparations or other targeted efforts. Official agencies, including state and local governments, or their executive agencies channel aid to recipient countries with the objective to address environmental challenges. The donor(s) transfers financial resources to awarded programmes and projects directly or indirectly through accredited agencies, private companies, and civil society organizations (NGOs). Although the most common disbursement is grant financing, funding may come in a variety of forms, including concessional loans, guarantees and equity. For the latter modalities in particular, OECD guidelines can be applied to define the type of aid provided. Improve safeguards, standards, policies, screens and their application to minimize potential harmful social and environmental impacts caused by ODA and related aid. Biodiversity related financing from Other Official Flows (OOF) i.e. official sector transactions that do not respect OECD classification criteria as ODA. They can include, for example, loans with a grant element of less than 25 percent. While not specific to biodiversity, OOF financing can be also considered for certain conservation organizations. Biodiversity related financing in ODA channelled through a multilateral development agency such as the United Nations or the World Bank. Biodiversity may be featured in multilateral donor strategies. Additional allocation requires the provision of evidence for clear results and political lobbying. Priorities are negotiated both nationally and internationally. The Global Environment Facility and the Green Climate Fund are among the largest multilateral providers. Biodiversity related financing within official public assistance provided for climate change mitigation and adaptation. Public climate finance is counted separately from general ODA due to the promise of additionality made by developed countries in climate agreements. Biodiversity may be featured in climate donor strategies more prominently (e.g. Germany or Norway) as clear co-benefits exist with climate adaptation and in many cases with mitigation measures as well. Additional allocations to biodiversity require evidence for climate results out of biodiversity focused interventions (e.g. ecosystem based adaptation) and political lobbying. Climate finance is delivered bilaterally (e.g. 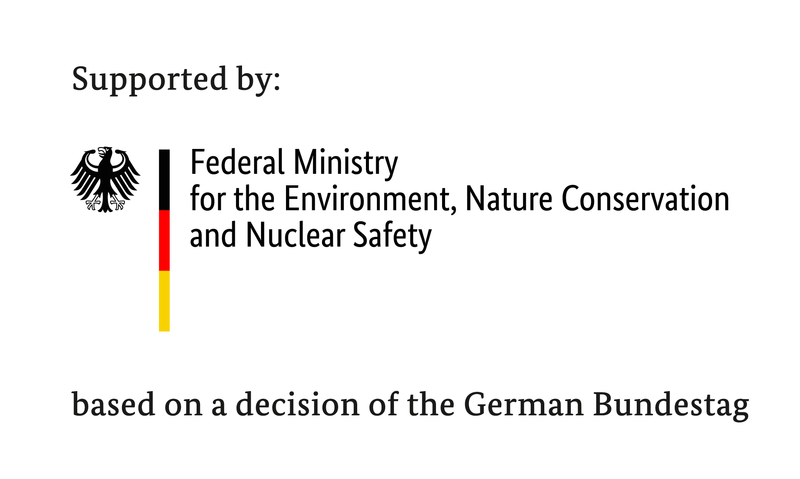 German International Climate Initiative-IKI) and multilaterally (e.g. the Green Climate Fund). ODA may be provided bilaterally, from donor to recipient. Biodiversity may be featured in bilateral donor strategies (e.g. Germany or Norway) but priorities vary greatly and change frequently among donors. Additional allocation usually requires the provision of evidence for results and political lobbying. Priorities can be negotiated both nationally and internationally. Aid coordination strategies (and/or institutions) can help to improve and guide strategic proposals as well as deliver resources in a more effective manner. Aid coordination strategies are usually established at national and sector levels (e.g. environment). Islamic finance is a unique form of socially responsible investment that abides with the Shari’ah Islamic law, principles and rules. Shari’ah does not permit receipt and payment of "riba" (interest), "gharar" (excessive uncertainty), "maysir" (gambling), short sales or financing activities that it considers harmful to society. Instead, the parties must share the risks and rewards of a business transaction. Islamic finance and particularly green Sukuk are emerging as alternative green finance products. Lobbying for additional allocations (or retention of current allocations in case of public cuts) towards conservation and biodiversity by line ministries or national, regional and local authorities. This requires a profound understanding of the budgeting process, a strong business case, and awareness raising, advocacy and communication efforts. Lobbying strategies may target both earmarked and non-earmarked resources (e.g. emergency funds, special funds). While budget allocations tend to be calculated on previous years' allocations by applying an incremental/decremental formula based on the fiscal capacity of the country (including past spending patterns, government priorities, lobbying, etc. ), changes in allocation can be pursued by understanding and influencing the budget formulation process at both the technical and political level. Lobbying strategies may target both earmarked and non-earmarked resources (e.g. emergency funds, special funds). Investment projects in biodiversity and green infrastructure can be included in the rolling investment plan of the Government. Inclusion of biodiveristy and sustainable development in medium term or long term strategic plans is essential. Development banks and donors can often increase likelihood of financing by providing targeted co-financing for specific projects. Governments and civil society groups using lotteries as a means of raising funds for benevolent purposes such as education, health, historic preservation and nature conservation. The lotteries are a form of gambling that involves the drawing of lots for a prize, and include instant games, lotto, and electronic terminals. In Europe and the USA, some wildlife trusts and conservation organizations receive a large part of their funding from the proceeds of lotteries. Identify and model policy interventions that can lower the barriers that hold back private investment in biodiversity-friendly sectors. The aim is to lower the capital costs of investment and achieve a better risk-return profile for investors and for companies receiving financing. The analytical framework and model developed for renewable energy may be adapted to conservation investments. Allows customers to conduct financial transactions using mobile devices. Due to the higher cost of traditional banking (i.e. establishment of physical presence) in developing countries, mobile banking expands financial inclusion among the poor and among populations living in remote locations. Beyond commercial banking services, the same system can be used to pay taxes, receive Government benefits or regulate other payments (e.g. payments for ecosystem services). Associated systems allow for microenterprise loans financing solar panels and other environmentally beneficial investments.